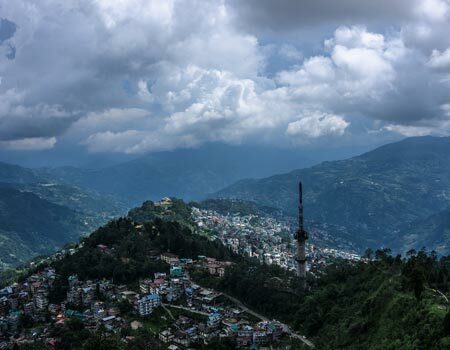 oday we drive to Gangtok, a fairytale capital in the clouds, balances precariously on Steep Mountain slopes, Surrounded by lush rice terraces, swifts flowing rivers & distant snow views. It is situated in the lower Himalayas & was a small hamlet until the construction of the Enchey Monastery in 1840 made it a pilgrimage center. It became a major stopover between Tibet & British India at the end of the 19th century. It is also a centre of Tibetan Buddhist culture & learning with numerous monasteries & religious educational. Today we take an excursion tour to Tsongo Lake, considered extremely sacred by the local people. The place is a paradise for bird lovers with large number of Blue Whistling Thrush, Redstarts & Fork tails around. It hosts a number of migratory birds prominent among which is the Brahminy ducks. 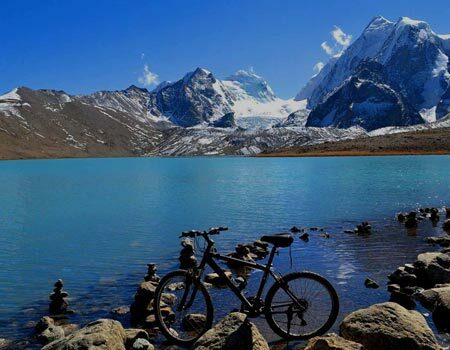 The word Tsongo in Bhutia language means source of the lake. Next we visit Do Drul Chorten, are two exquisite Stupas, the Dul-dul-Chorten, was built to commemorate the victory of good over evil. The Jhang Club Chorten was built to perpetuate the memory of a great spiritualist of today. Thrul-Shik Rinpoche an ardent devotee of Buddha & one of his best interpreters died in 1962, the stupa immortalizes Rinpoche in the land of his birth. 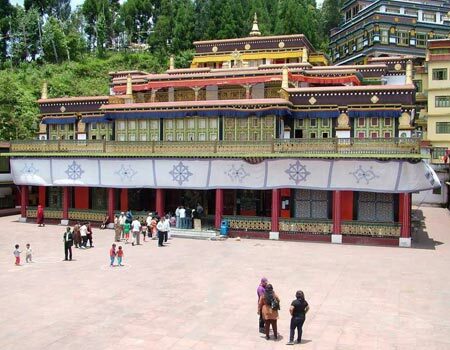 Next we visit Rumtek Monastery, meandering roads through emerald green rice terraces, lays Rumtek, the main monastery of Kagyud or 'Black Hat' sect of Tibetan Buddhism. Built in 1959 by His Holiness the 16th Reincarnated Gyalwa Karmapa, it is a replica of Tsurphu Monastery from the Kham region of Tibet. 09 Nights accommodation on twin sharing.